As local residents and authorities in Far North Queensland assess the damage in the aftermath of Cyclone Yasi, a woman's body is found in bizarre circumstances deep in the rainforest. Cass Diamond of Cairns CIB is on the team investigating the murder of fashionista Odile Janvier and it's not long before she uncovers a disturbing connection between the victim and the local medical profession. This was an intriguing debut novel from a newer Australian author which grabbed me promptly at the start, but had some wobbles as it went on. There's plenty of originality in the characters, setting, and story, and a strong sense of place and the world in which the novel unfolds, but a few jarring notes pulled me out of the tale at times. A Cairns doctor and his wife take an unusual shortcut through a national park forest outside of the city, become bogged down among post-cyclone terrain and have to abandon their car and walk out, only to stumble across the body of a Frenchwoman, tied to a tree with expensive Hermes scarves. As the police look into the case, it emerges that the women's husband is missing, having vanished before the cyclone. Strangely for a place like Cairns, which has a 'small-town' feel, the local community doesn't seem to know much about the Janviers. With the couple estranged from their sons (on in prison, one in another state), the cops struggle to form a picture of the pair. When they do, it takes them in some unexpected directions, including into the disturbing private lives and behind-closed-doors world of some among the Far North Queensland medical profession. There's much to like about De Costa's debut. Her central character, Cass Diamond is distinctive and feels authentic, rather than a composite of traits put together to 'be different' in the crime field. An aboriginal woman in her 30s, raising a teenage son as a solo mother, Cass has plenty of challenges on the personal and professional fronts. We learn about her in a fairly natural way, and there are moments of attitude and humour that make her quite engaging, and feel very real. Unfortunately some of the other characters don't fare so well, even occasionally feel like stereotypes or caricatures, moving pieces just orbiting around Cass and the crime for the sake of the story. There's a really strong sense of place in DOUBLE MADNESS; the people and places in Far North Queensland may be from the same country, but are very different to shiny Sydneysiders or hipster inner city workers of Melbourne. 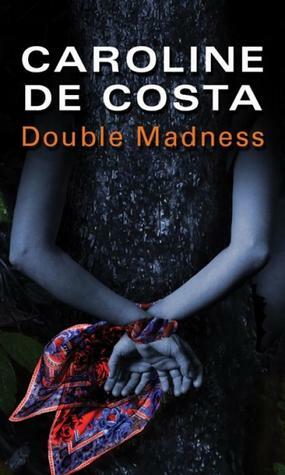 De Costa captures a variety of that local flavour well. There is a tendency to pass information to the reader through character conversation, sometimes in a straightforward way that can veer info-dumpy or a bit clangy, dialogue-wise, at times. That pulled me out of the story now and then, disturbing the flow, but may not bother other readers as much. Overall, a good solid debut novel that with a few tweaks could have been really, really great. De Costa shows a lot of promise as a crime writer, with flashes of brilliance, and Cass Diamond is the sort of character that you could easily see helming an ongoing series. I'd certainly read more.